Look up Polish or polish in Wiktionary, the free dictionary. Polishing is the process of creating a smooth and shiny surface by rubbing it or using a chemical action, leaving a surface with a significant specular reflection In some materials, polishing is also able to reduce diffuse reflection to minimal values. When an unpolished surface is magnified thousands of times, it usually looks like mountains and valleys. By repeated abrasion, those "mountains" are worn down until they are flat or just small "hills." The process of polishing with abrasives starts with coarse ones and graduates to fine ones. Nail polish is a lacquer that can be applied to the human fingernail or toenails to decorate and protect the nail plates. The formulation has been revised repeatedly to enhance its decorative effects, and to suppress cracking or flaking. Nail polish consists of a mix of an organic polymer and several other components, depending on the brand. Shoe polish is a waxy paste, cream, or liquid used to polish, shine, and waterproof leather shoes or boots to extend the footwear's life, and restore, maintain and improve their appearance. Polonaise is a stately dance of Polish origin or a piece of music for this dance. This disambiguation page lists articles associated with the title Polish. PM or pm is an abbreviation for Latin post meridiem, meaning "after noon" in the 12-hour clock. Mazovia encoding is used under DOS to represent Polish texts. Basically it is code page 437 with some positions filled with Polish letters. An important feature was that the block graphic characters of code page 437 remained unchanged. In contrast, IBM's official Central-European code page 852 did not preserve all block graphics, causing incorrect display in programs such as Norton Commander. The Second Polish Republic adopted the March Constitution on 17 March 1921, after ousting the occupation of the German/Prussian forces in the 1918 Greater Poland Uprising, and avoiding conquest by the Soviets in the 1920 Polish-Soviet War. The Constitution, based on the French one, was regarded as very democratic. Among others, it expressly ruled out discrimination on racial or religious grounds. It also abolished all royal titles and state privileges, and banned the use of blazons. 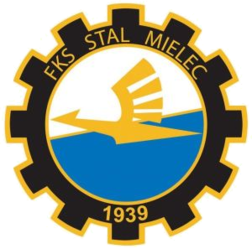 Stal Mielec is a Polish football club based in Mielec, Poland. The club was established on April 10, 1939. Historically, the club has enjoyed great successes within Poland's Ekstraklasa Premier League, winning the title twice but has undergone significant management changes and financial difficulties within the past two decades that have forced the club from participation in the Premier League. After winning the Polish third-tier league title in 2016, Stal Mielec was promoted to I Liga, the second-tier league. Katherine, Catherine, and other variations are feminine names. 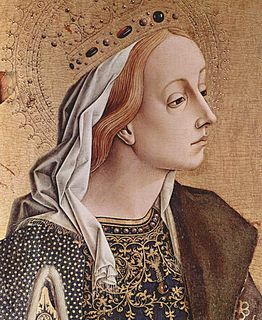 They are popular in Christian countries because of their derivation from the name of one of the first Christian saints, Catherine of Alexandria. The citizens of Poland have the world's highest count of individuals who have been recognized by Yad Vashem of Jerusalem as the Polish Righteous Among the Nations, for saving Jews from extermination during the Holocaust in World War II. As of 1 January 2018, there are 6,863 Polish men and women recognized as Righteous Among the Nations, over a quarter the of 26,973 recognized by Yad Vashem in total. Jewish ghettos in German-occupied Poland were established during World War II in hundreds of locations across occupied Poland. Most Jewish ghettos had been created by Nazi Germany between October 1939 and July 1942 in order to confine and segregate Poland's Jewish population of about 3.5 million for the purpose of persecution, terror, and exploitation. In smaller towns, ghettos often served as staging points for Jewish slave-labor and mass deportation actions, while in the urban centers they resembled walled-off prison-islands described by some historians as little more than instruments of "slow, passive murder", with dead bodies littering the streets.